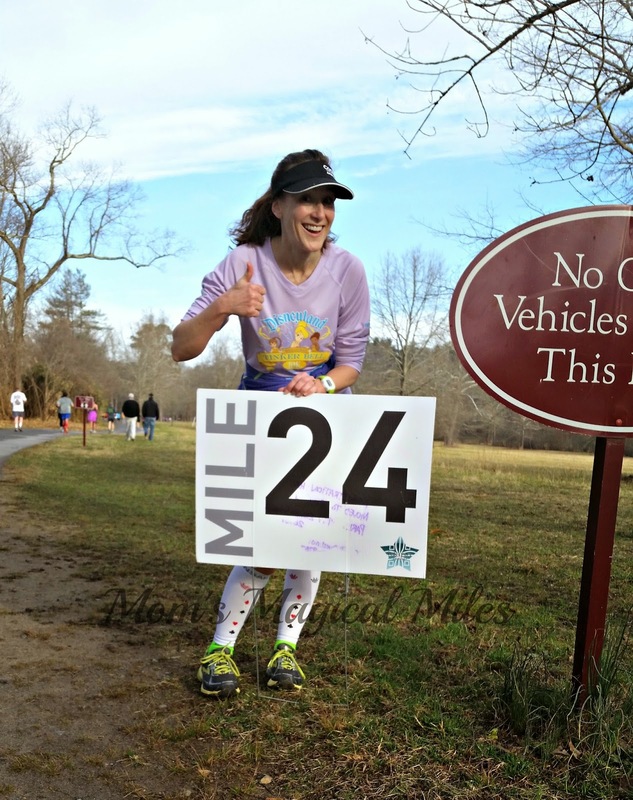 2015 AMAmbassador, Amy Albers from Atlanta, GA, shares her inside perspective on running her 13th half marathon at the 2015 Asheville Marathon & Half at the Biltmore Estate in Asheville, NC. 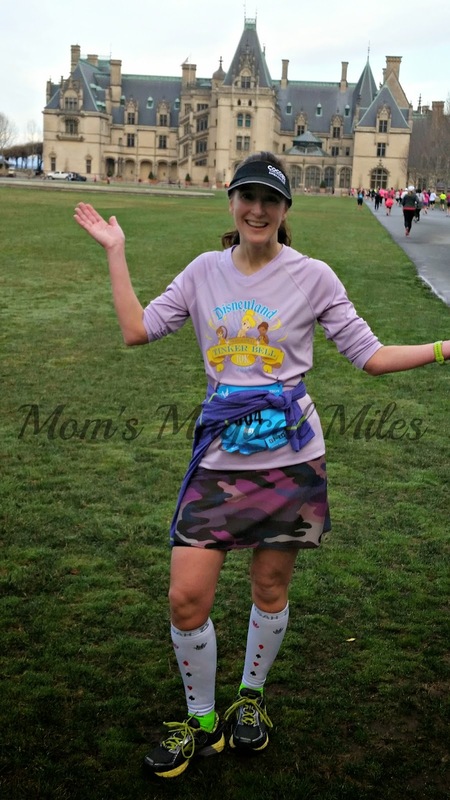 Review the insights from her blog, Moms Magical Miles, below. 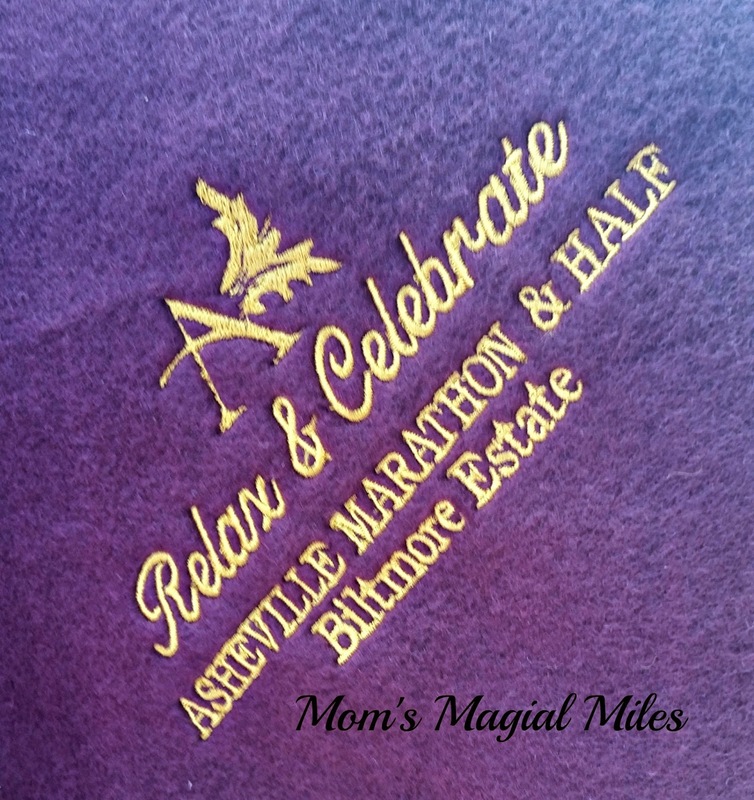 ASHEVILLE MARATHON AND HALF MARATHON 2015 RECAP – RUNNING IN AMERICA’S LARGEST BACKYARD! 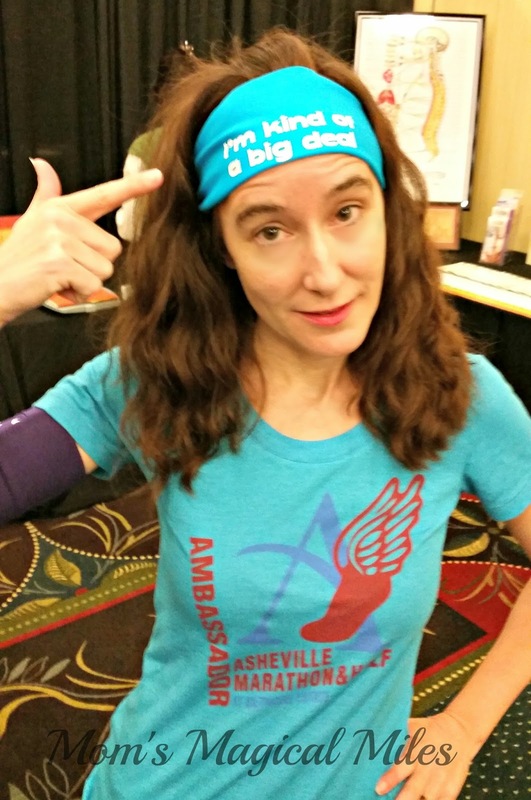 Disclosure: I was an ambassador for the 2015 Asheville Marathon and Half Marathon and received free race entry. All opinions are my own. 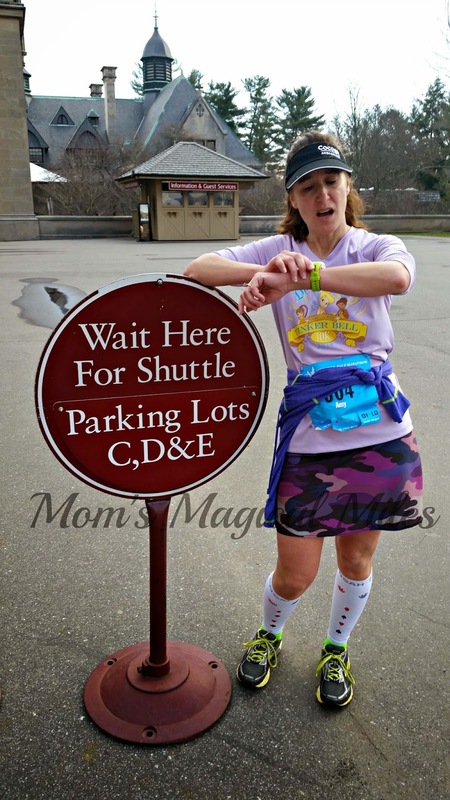 I’m linking up today with My No Guilt Life, Run The Great Wide Somewhere and MCM Mama Runs for Tuesdays on the Run! Join us! 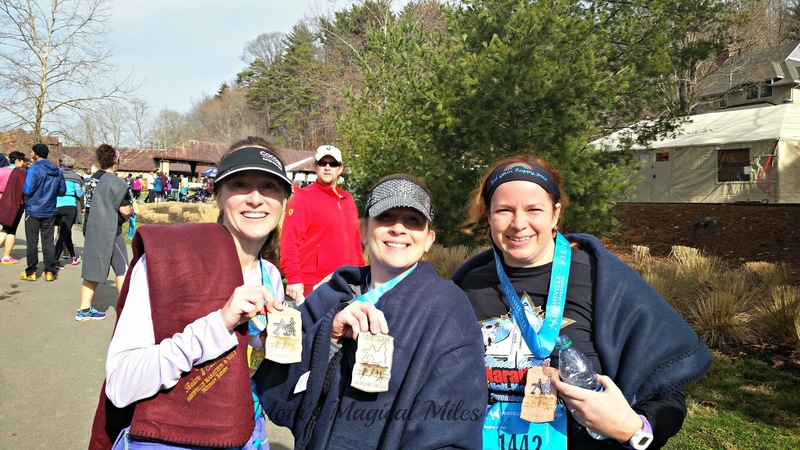 On March 15th, I ran the Asheville Half Marathon for the 2nd time. I ran it last year solo and although it was cold and wet, found it to be a good enough experience to want to repeat it! 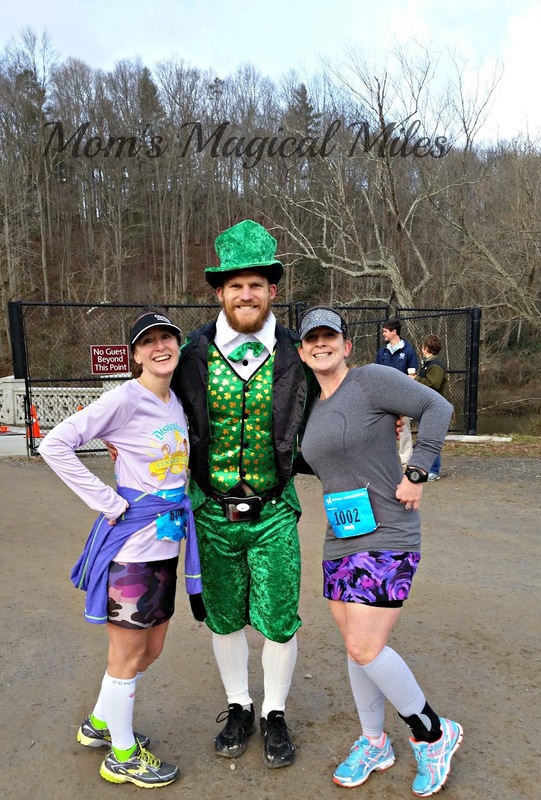 It was lucky #13 for me – my 13th half marathon!I had convinced two other friends to join me in Asheville, NC this year – my local friend Wendy and a FL running friend, April. I had assured them that the hills were NOT that bad and it was no big deal. Ahem.I spent most of Saturday at the expo working at the Bondi Band booth. I really like these lightweight, sweat-wicking head bands. Tons of fun sayings, too! I found one that I thought was pretty perfect! Other priorities at the expo – the wine. 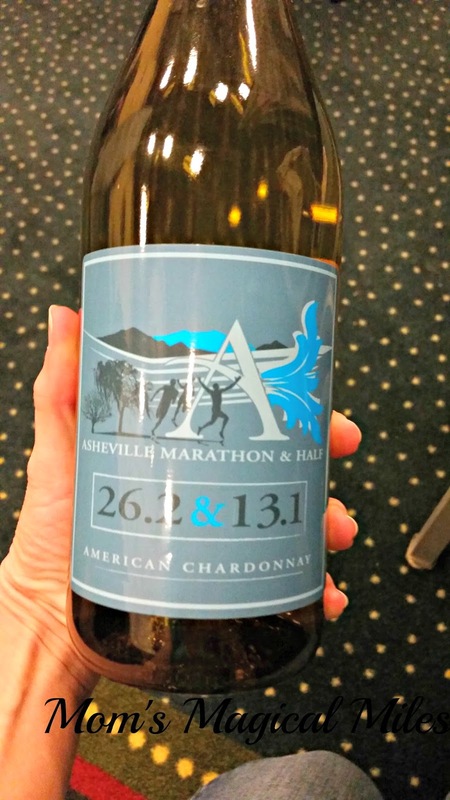 Biltmore Winery produces a chardonnay and a cab that you can get with a special marathon label on them. Someone recycled my bottle from last year. Someone. So I had to get another this year. It’s already been enjoyed by my book club. The expo was fun and the Bondi Band table was crazy busy. We had dinner out and then got ourselves ready for the next morning. I was SO thankful that the weather was gorgeous!! Last year I was miserable – cold and wet. In fact, we think this is why I actually believed myself when I told Wendy and April that the hills were not that bad. After running this course again, in a much better mood, I can only conclude that I must have shut down last year and blocked out the hills. Because they were there, and they were, in fact, kind of a big deal. Wendy has already told me that she will never trust me again. April was cursing my name. I plead guilty. So sorry, ladies. But the beauty of the course balances out the effort required. I stand by my statement that this is the most peaceful and beautiful course I have ever run. And for every up hill, there is a down – our time actually stayed pretty consistent overall. 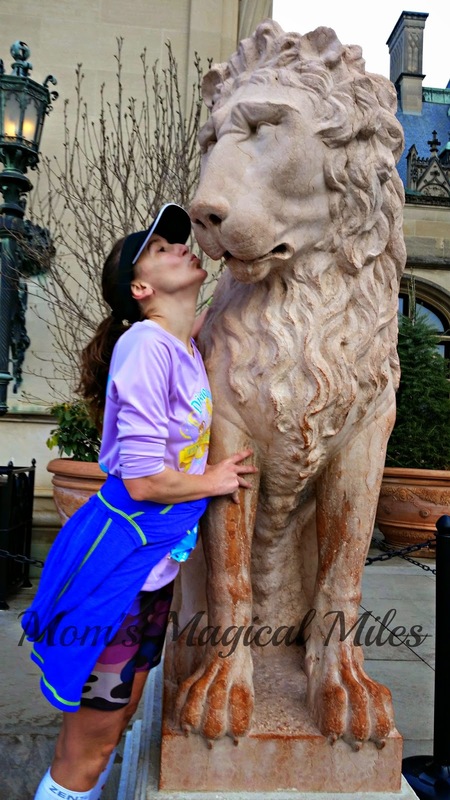 You hit the Biltmore House right before the 10K split and of course we had to stop for some photo shenanigans. Because we are nothing but serious regarding our races. The course takes you behind the house, through the gardens and heads down to the French Broad River. It was on the way to the river that we saw an amazing sight – a full grown deer ran across the pasture, leaped over the electric fence and ran right in front of some runners on its way into the forest. This. This is one of the reasons this race is unique – I most likely will never see anything like that again. It was literally awesome. Wendy forgave me some once we got down to the river since the course flattens out. It was pretty, but the path is dirt with some loose stones around. She was worried about losing her footing. Spectators do not have access to the majority of the course. You don’t have that cheering, but I didn’t mind because the few places we did encounter people yelling and clanging cowbells, it seemed totally out of place and I found it a little jarring after the peace of the rest of the course. We did enjoy finding this young man at the spot where the marathoners split from the half marathoners. It was 2 days before St. Patrick’s Day, and at this point in the race we could use a little luck to push us through. I don’t think the marathoners probably found this as funny as I did. We were coming up on the last few miles and I did remember enough sucky parts about this to warn Wendy properly. From mile 10 1/2 to 12 there is a rude out-and-back. It’s rude because as you approach, you can see and hear the finish line but you are diverted away and down this path that you think lasts forrrreeeevvvverrrrrr. I told Wendy how long it would be. I also warned her that you have to run a pretty big damn hill before the finish line. Course directors can be cruel sometimes. We finished, though, and got our “woodalion” and our swag. Yes, you do not receive a metal medal. This is artsy Asheville and you get an artsy woodalion. That’s just fun to say, isn’t it? But the real swag for me was my new warm and fuzzy blanket with the Asheville logo embroidered on. This thing is the bomb. They hand out a variety of colors so I was able to get a different color from last year’s blanket. I don’t let my children use these. I have an unnatural love of this item. This year, the food tent had a crazy long line. Last year, you were handed a reusable tote to load up on all your selections in the food tent. This year, we saw people just walking around with plates. We decided to bag it in favor of seeking out an actual restaurant breakfast. Overall, I really like this race. The course is unmatched for uniqueness and beauty. Next year, they are making the event occur over two days and you can run both races as a challenge. 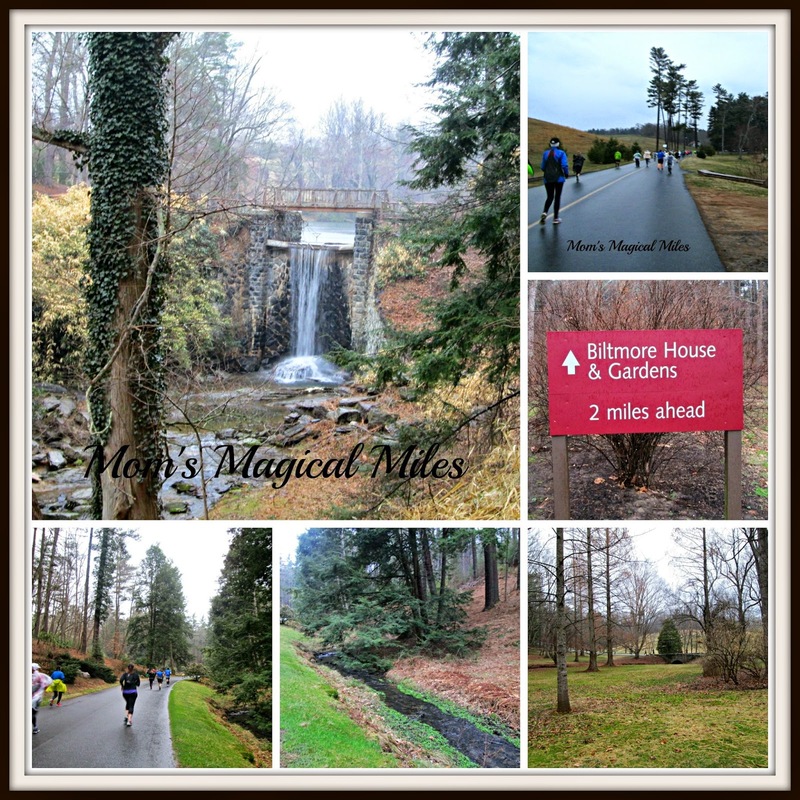 The half course sticks to the public Biltmore paths, but the full course take runners onto paths that are only open to Biltmore Estate employees. It’s called the Backyard to Vineyard Challenge and I think it’s a great way to see the best parts of the Biltmore Estate. You can register now!